ENJOY THE DAY, HOPEFULLY SURROUNDED BY THOSE YOU LOVE. Wow, Sue, what a wonderful card. Thank´s for your nice messages. It takes great skill to make such beautiful cards Sue..and this you make day after day! 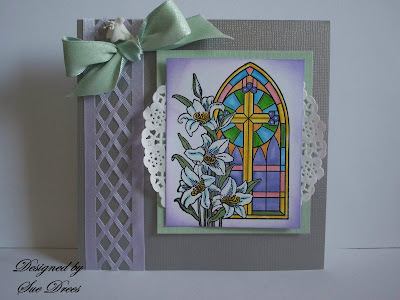 Happy Easter to you.. Beautiful card.